My Local Physio Plus opened at Golden Grove in January 2018. 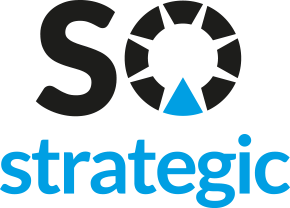 From confident counselling to holistic project management, SO Strategic provides business partnering solutions across all facets of strategic business, marketing and media. Steve worked as GM-Commercial for the Port Adelaide Football Club while I was CEO in 2005 to 2008. He played an instrumental role in restructuring the club’s revenue generation model, doubling its corporate revenue over a 2 year period, achieving record profitability in 2007. Steve, congratulations on a magnificent day (AFL launch of the Adelaide Oval – March 29, 2014). Not only was your team outstanding on the field but the team off the field did a tremendous job. Loved the walk to the ground, the T-Shirts, the Team entry to the ground and the music leading into the first bounce. Very appropriate. Combined with your initiatives in the corporate space it was a great job all round. We look forward to continue working with you to keep delivering an outstanding fan experience. Over the last 10 years I have worked with Darren in a variety of roles. Throughout this time Darren has provided us with many successful campaigns with a particular highlight with one that delivered us a huge 48% increase to our website traffic. I encourage any individual or business to engage Darren and SO Strategic for consulting work, from working with Darren for many years I can see his strengths lie in helping businesses achieve increases. I have worked with Darren in both a professional and volunteer capacity over the last three years. I have always found him to be a strategic thinker, helpful, insightful, positive, passionate and willing to go the extra mile. His worked has delivered positive results for specific promotional campaigns and raised much needed funds for Variety South Australia.